Join us at the Asian Rural Institute (ARI) as Roni Daniels and Ikuko Handa Williams share about the Beatitudes and the acceptance of God’s blessings in our daily lives. For the past 61 years during the season of winter, a community of women of various nationalities living in Japan take a timeout from busy schedules to gather for fellowship, reflection, laughter, joy, friendship, rest, and Sunday worship. In a move from previous years, this year we will be gathering at the Asian Rural Institute, an organic farm and remarkable place of community and learning, from February 15-17. The campus of Asian Rural Institute provides a beautiful and simple natural setting for the weekend exploration of the Beatitudes, We are grateful to be able to host Women’s Conference at ARI with the support of ARI’s Director – Tomoko Arakawa – and ARI Ecumenical Relations staff-person Kathy Froede, who are great advocates for Women’s Conference. A native of Wilmington, Delaware, Veronica (Roni) Daniels has lived a life of service as a medical professional and a Benedictine sister. Starting out as an elementary school teacher, she later worked as a pediatric nurse, a family practice nurse, and a nurse educator. She has served in health care initiatives both within the U.S, in Maryland and Washington DC, as well as internationally in El Salvador, Mexico, Guatemala, and Haiti. Roni has worked with and continues to serve vulnerable communities, including the homeless, HIV patients and criminal offenders. She was a Benedictine Sister for 40 years, and served as a nurse to Mother Teresa in Washington, D.C., and in Calcutta in the last year of her life at the request of the Missionaries of Charity, Mother Teresa’s Sisters. Roni taught at Seisen International School in Japan from 2013-2015 and now continues to assist religious communities with health care needs in the United States. Rev Gail Mundt contacted the Women’s Conference Planning Committee with her deep regret that she is unable to travel to Japan in February. She felt it an honor to be invited. The committee is pleased to announce that Anglican priest, Ikuko Handa Williams, has accepted the invitation to lead the Sunday morning worship. Please read her introduction below. We are grateful for her support for the 2019 Conference Closing Worship. Ikuko Handa Williams will be planning Sunday morning worship for Women’s Conference. Born in Japan, Ikuko spent her teenage years in Southern California, and graduated from International Christian University (ICU) in 1982. After finishing an MA course in communications at Western Michigan University as an International Rotary Scholar, Ikuko married Mark from UK in 1984, and lived in Berkeley, CA where Mark did his PhD. They moved to UK in 1989, when Mark took up a teaching post at Leeds University in northern England. While raising three children, Ikuko enjoyed teaching in Sunday School and running a monthly Bible story time for toddlers and young mothers in the community through a local church, alongside her part-time teaching job in Japanese language and translation studies. Though from Presbyterian church originally both in Japan and US, Ikuko’s vocation for ministry was affirmed in the Church of England context. After studying and receiving the theological training, Ikuko was ordained priest in 2008. Ikuko has served as a hospital chaplain since the end of 2009, first as a part time and then as a full time Chaplain at Leeds Teaching Hospitals NHS Trust. During her years of serving as a healthcare chaplain in a hospital context, Ikuko has grown in her passion to share the perspective of affirming the spiritual value that exists in every dimension of person-to-person care. 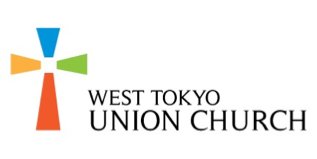 Ikuko has just left the post at the end of 2018 to move to Tokyo in order to join Mark who had started working for ICU as the Vice President, and is delighted to be asked to take part in the 2019 Women’s Conference. ARI Dorm Rates: These per-person rates include accommodation, five meals, conference program, one onsen admission, pickup (at designated times) and drop-off to Nasushiobara station by ARI microbuses. About half the accommodation at ARI is in 2 occupancy (twin) Western style rooms. In addition, there are Western and Japanese-style rooms that accommodate 3-4 people each. Each floor has shared bathrooms and showers/bath. Ground floor rooms are available for those with mobility issues. Nogi Onsen Hotel rates (16 places only): These per-person rates include accommodation in 2 occupancy (twin) Western style. In addition there will be central heating, a hot buffet breakfast for 2 days (in addition to ARI’s lunch and dinners),private bathrooms, and access to a beautiful onsen. Free access to ARI provided via microbus or carpool and transport to and from station as needed. There are only 16 places and priority will be given to those with mobility issues. From time to time, we have enough donations from individuals and organisations to help women who will be otherwise unable to attend the conference. Please note that the availability is limited, and even when awarded, the recipient will still be responsible for a portion of the registration fee. Priority will be given to those who are attending for the first time. Please see the registration page for details. For any questions, please contact Sarah Oba (seira.oba@gmail.com) or Women’s Conference (info@woconjapan.org) for more information. WANT TO SHARE A RIDE? If you have a ride to offer, please let us know at info@woconjapan.org and we will add your car to the list. 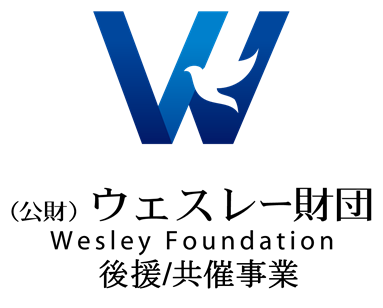 Churches and organisation committed to promoting WoCon! Contact us so we can add your church/ministry logo here.